RWANDANS would like to wean themselves from American hand-me-downs, and the United States wants to punish them for it. Last week, the Trump administration suspended duty-free access to US markets for Rwandan clothing. This may sound like inconsequential news, compared with the prospect of a trade war with China, the European Union or our Canadian neighbours, but the move follows a dangerous trend of disregard for Africa. And it’s not just Africans who will suffer: Neglecting the continent will foreclose trade opportunities, harm US companies and, ultimately, cost US jobs. 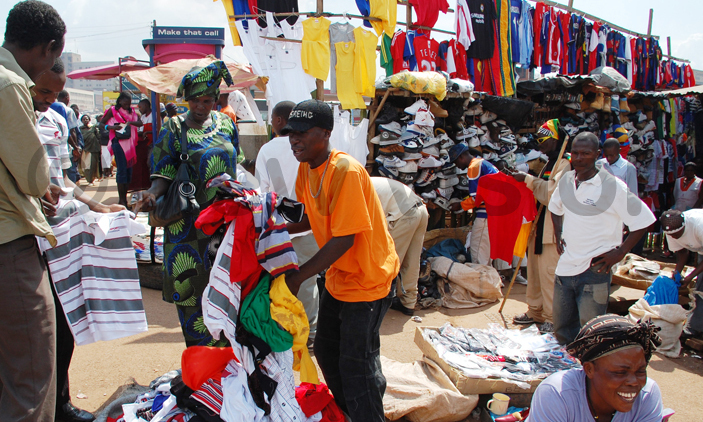 Rwanda and several of its neighbours recently introduced tariffs on used clothing in an attempt to bolster the local apparel industry. In response, a US trade group filed a complaint, claiming that the new tariffs violate the terms of the African Growth and Opportunity Act, which requires participating countries to reduce trade barriers for US goods. Unlike its neighbours, Rwanda stayed the course. The administration has every right to retaliate under the terms of the act — but the move is inconsistent and shortsighted. For a start, the administration can hardly claim to be acting on principle. More than 100 countries benefit from US trade preference programmes without returning the favour. Florie Liser, former assistant US trade representative for Africa, notes that countries like India and Brazil, which are major exporters to the United States under the programme known as the Generalized System of Preferences, ‘ship a lot more to us than Rwanda, yet have significant barriers to US trade.’ The selective decision to retaliate against Rwanda not only adds to the general trade turmoil damaging US standing overseas but also is seen as a particular snub of Africa, where President Trump’s derogatory comments about its countries have not been forgotten. The administration can’t claim to be protecting a vital American industry, either. The complaints of the used-clothing association — that Rwandan tariffs would have a negative impact on up to 40,000 US jobs — are unsubstantiated. Rwanda, a country of about 12.5 million people, imported $17 million in used clothing in 2016, according to the US Agency for International Development. 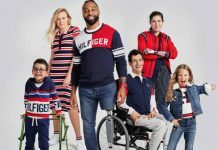 The clothes are primarily donations to organisations like the Salvation Army and Goodwill, bought by members of the trade group that lodged the complaint, the Secondary Materials and Recycled Textiles Association, and resold in Africa. Rwandan vendors sell them in market stalls. Rwanda’s motivations are as much about dignity as they are about economics. Just as China recently banned imports of ‘foreign garbage’ that it used to buy and recycle, Rwanda is taking a stand against the perceived indignity of buying clothes that others have worn and discarded. It would be a different story if Rwandans were rejecting icons of American ingenuity and enterprise, like cutting-edge medical devices or mobile technologies. But they’re not. They’re rejecting our hand-me-downs. The White House fails to grasp that, as well as the bigger picture for the United States. It’s not just Rwanda — the president is picking fights with trading partners old and new over relatively small amounts of US imports and exports and with little regard for the long-term consequences. As relationships fray — even long time allies feel under duress — the price to the United States rises. The country will pay not just in self-inflicted economic harm but also in diminished global leadership and reduced support for its national security priorities. Banning used clothes is not enough to build Rwanda’s domestic textile and apparel industry, especially given competition from cheap Chinese imports of ready-made clothing. But there is a certain irony in Trump punishing Rwanda for protecting domestic manufacturing in what really is a Rwandan version of ‘America First.’ More to the point, the United States ought to be supporting countries that pursue economic growth and development plans — not just because it is the right thing to do but also because the vitality of the US economy depends on whether we have markets for our goods and services. Until recently, supporting African economic growth was a key piece of US-Africa policy. For instance, building on the African Growth and Opportunity Act’s strong legacy of bipartisan support, President Barack Obama launched the Trade Africa initiative to support regional economic integration and work toward a more reciprocal trade relationship. But the suspension of access for Rwandan apparel reinforces the sad truth that the Trump administration has no vision for trade with Africa. And there is no question that US businesses will suffer as a result. Africa represents the last frontier for America’s export-driven economy, with consumer and business spending predicted to reach $6.7 trillion by 2030. 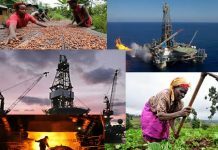 A recent US government report cited motor vehicles, poultry and refined petroleum products among various sectors, as well as a range of services, with the potential for greater American exports to sub-Saharan Africa. The United States misses a larger opportunity by engaging in petty trade squabbles and generally neglecting the continent. While it is true that the Trump administration maintains that it supports more reciprocal trade relationships with African states and has been studying trade and investment potential in certain African markets, advancing a strategic economic partnership with Africa requires more than talk. Actions — like threatening the funding of government agencies that support US companies investing in Africa, leaving key ambassadorships vacant and deprioritising trade programmes — speak louder than words. Meanwhile, other economies are making aggressive commercial plays in Africa. China has been Africa’s leading trade partner for the last nine years. Trade scuffles like this one with Rwanda can only further drive African states into China’s open arms. Nor is it just China — the European Union has been actively travelling the region, signing two-way trade agreements that will disadvantage American companies far more than any tariffs on second hand clothing. It would be misguided to dismiss this row with Rwanda as a small issue with a small country. The larger economic picture is much more worrying.